I can only apologize for neglecting my blogging. I am so glad to be back and hope you will all join me in a season of renewal. Not only are flowers blooming, grass turning green and birds chirping joyfully, but I am renewing discarded items into treasures for the home. I have been working hard the last few months getting ready for Junk Jubilee in Des Moines, Iowa the end of April. My friend and I will be sharing a booth, and offering our fun decor for sale. This will be the biggest sale I have ever participated in, and I am very excited. I can't wait to get out there and meet others who love the world of decorating with junk. I also went curb shopping today and scored many treasures for me and for resale. Some of these items will be with me at Junk Jubilee. I have never really had a chance to "dumpster dive" as some would call it. I was so "drunk on junk" that I couldn't contain myself! 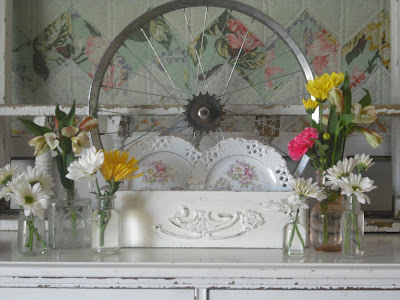 I wanted to share some spring photos from my living room with you. 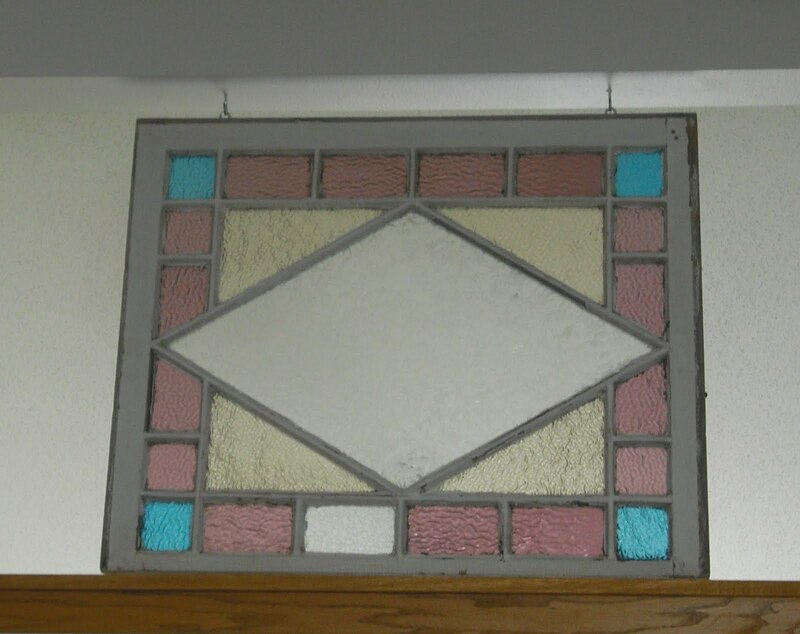 I also recently got a stained glass window. My husband let me get it even though it cost us some pretty pennies. He said, "Happy Anniversary, Happy Birthday and Merry Christmas." I know he liked it too, otherwise he wouldn't agree to let me get it. Enjoy your week and stay tuned for pictures of fun projects I am working on! Rachel, so glad I was able to meet you. Never got your contact info and couldn't find it at the Jubilee site. Lucy and I had fun running into all of you at McD's and enjoyed being neighbors for the weekend. Well now that you have used up a years worth of gifts LOL! It is gorgeous! I just did my first show a few weeks ago. It was a ton of fun, but I did not have enough help...Oh my aching back! Bring lots of help and good luck! New to your blog, love the stained glass! I have been missing you hope you are will!! Would love to see you some time OK.
30 something mom of 5 boys. 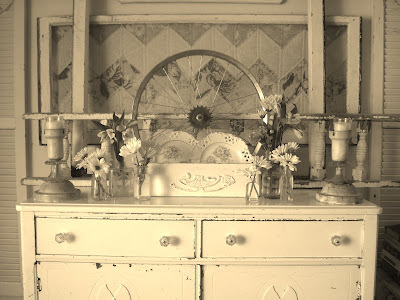 I love shabby chic/cottage style decorating. I love making things...jewelry, stuffed animals...you name it. I've been married for 15 years to my husband Bryan. I sell antiques/vintage decor. at a booth I rent in town. I occasionally do flea markets too. Just a lady who loves life, decorating, friends and Jesus.